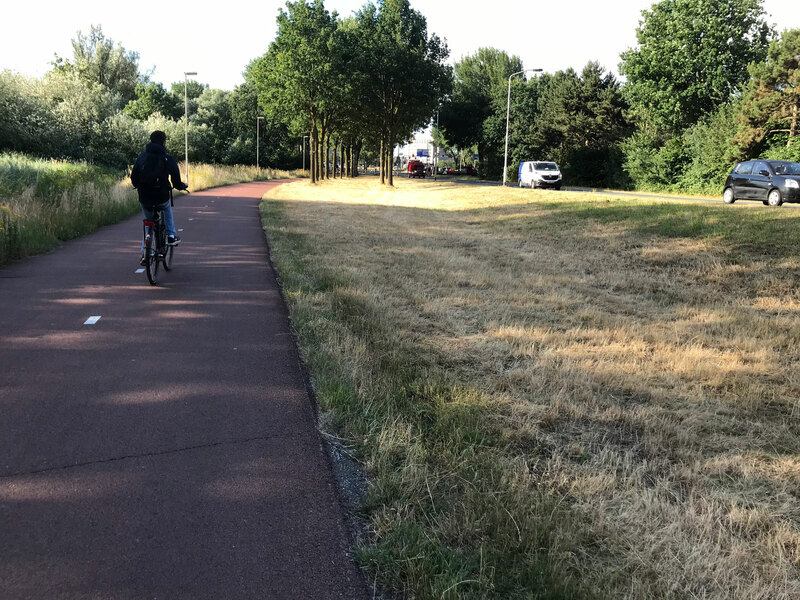 The Emerparklaan is a busy access road to Breda’s ‘Haagse Beemden’ residential area. 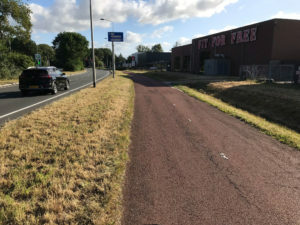 The road has a separate bicycle path called the Emerpad. 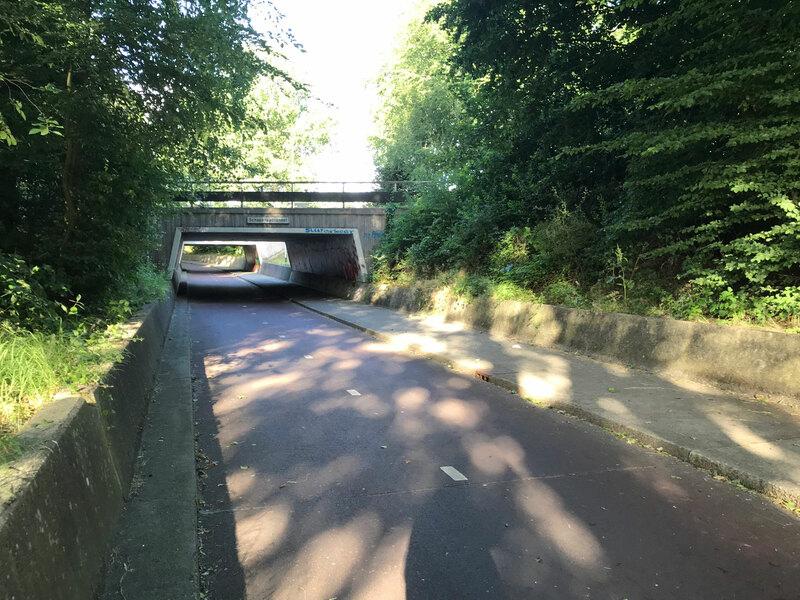 In several places, bicycle tunnels that run under Emerparklaan have been constructed that allow cyclists to safely enter the residential area while at the same time ensuring motorists do not have to spend as much time waiting at traffic lights. 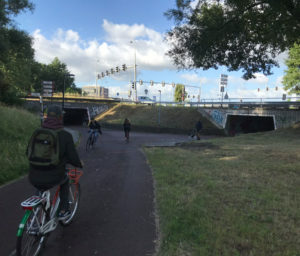 Designed to offer cyclists a pleasant bicycle ride through the park, the first part of this route stretches from the Emertunnel to the Donktunnel and comes closest to reaching the experience the planners had in mind. 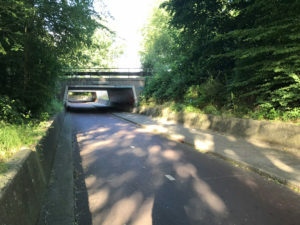 The cycle route is bordered by trees on the one side and by the Emerplas on the other. Further down the route, the cycle path adjoins the motorway and loses its air of peace and tranquillity. 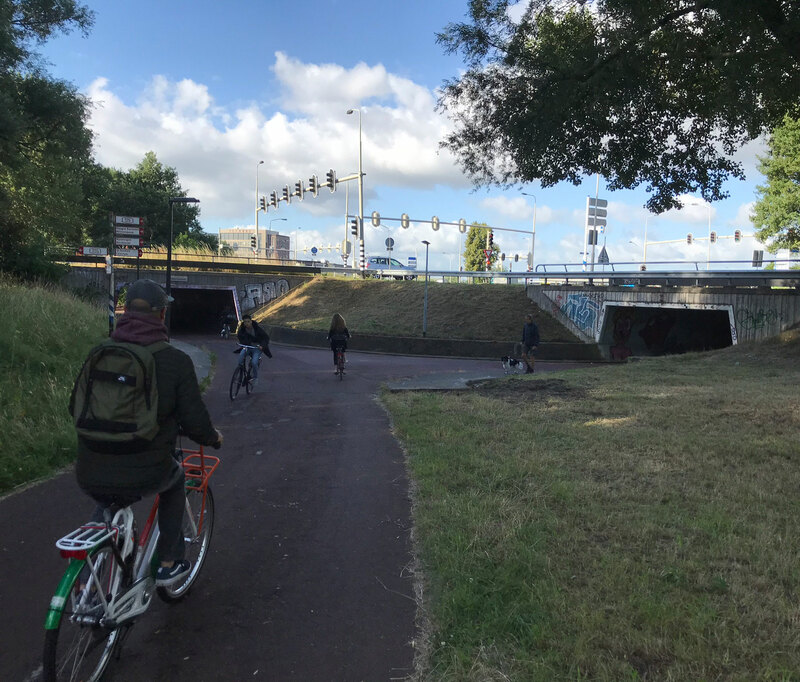 The bicycle tunnels are all well-illuminated to make cyclists feel safe, especially at night. The total distance cycle path along the Emerparklaan is a mere 4 kilometres; it also connects to a free bicycle route towards the city centre. 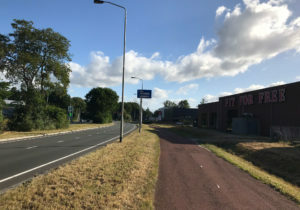 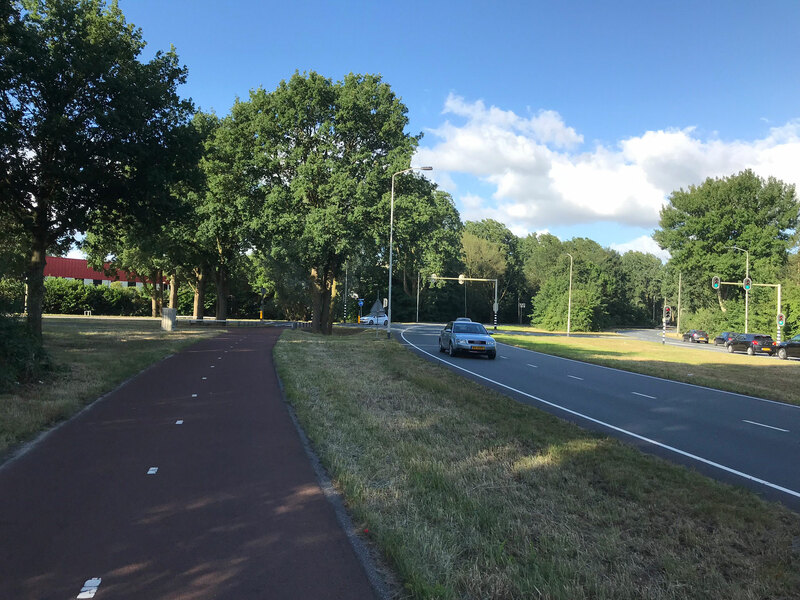 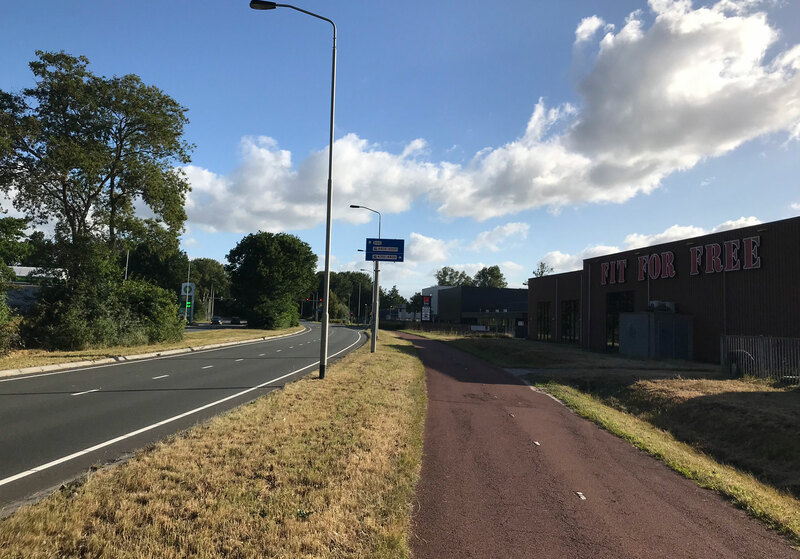 This cycle path boasts a decent connection with the main cycle routes towards business parks in the north and west of Breda and is well-used by commuters.